REUTERS/Pawel KopczysnkiGosh, I wish I could read a post on BusinessInsider.com that would explain all this. 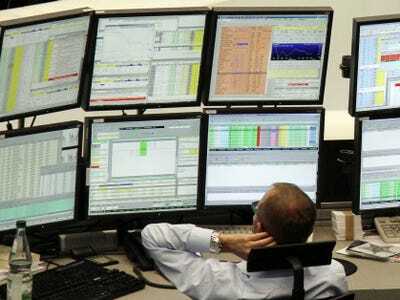 Business Insider is looking for a financial markets junkie to join our growing Markets team as a contributors editor. The ideal candidate should have experience in finance or financial markets reporting. The candidate should be familiar with the popular financial blogs and the best Twitter accounts. The contributors editor will be able to identify and write BI-style headlines for outside stories to feature on Business Insider. These pieces will be curated from our existing roster of 300+ contributors and syndication partners, but the editor will also be responsible for building the network by securing new partners. Relevant topics include stocks, bonds, currencies, commodities, rates, and macroeconomics. The candidate should have strong communications skills and the ability to make a wonky story fun and exciting. This job is all about packaging and framing.